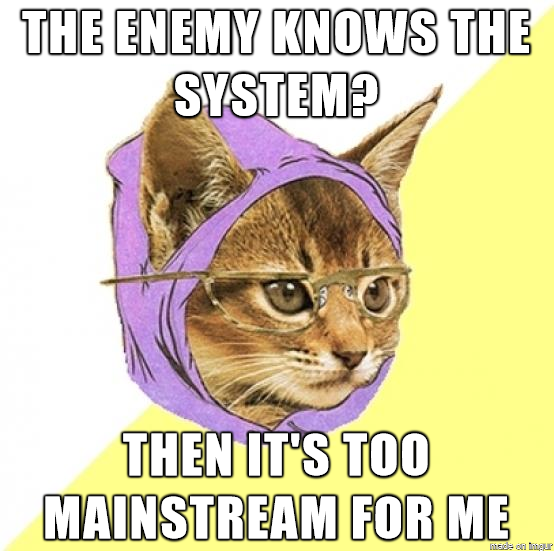 You can go on Google and find memes about spam, botnets, viruses, and ransomware, but when it comes to memes about Kerckhoff's Principle/Shannon's Maxim I'm pretty sure you're going to be coming here. It never ceases to amaze me what people think they are entitled to do with company-owned hardware. 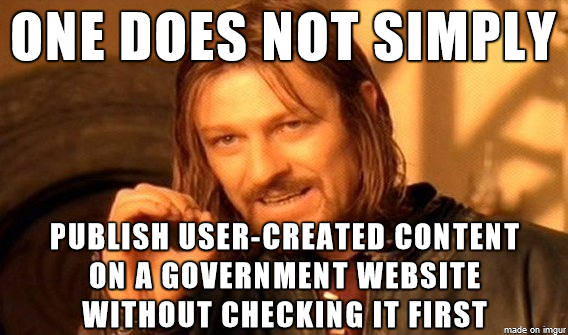 Check out the Imgur link for this security tale, because it's got more details and other stories too. I do wonder if I gave the guy who called me a fair chance, but he made an unsolicited phone call to ask permission to send me email because he didn't want to send unsolicited email. Really, phone-guy? He then pretended to know what my email address was. I don't know who thinks this stuff up but it's bananas. Presenting me with the wrong email address makes it clear to me that you didn't get my contact info from anyone who knows me and also that you are hoping that you either guessed right or that I'll follow the natural human inclination to correct someone when they're wrong. That's not gonna happen. Too many red flags. I'm not giving you my real email address or even the format we use for corporate email addresses at work. I don't want to click on whatever it is you were planning to send me. I don't want to take the chance that you're trying to penetrate our organization through either malware or social engineering. 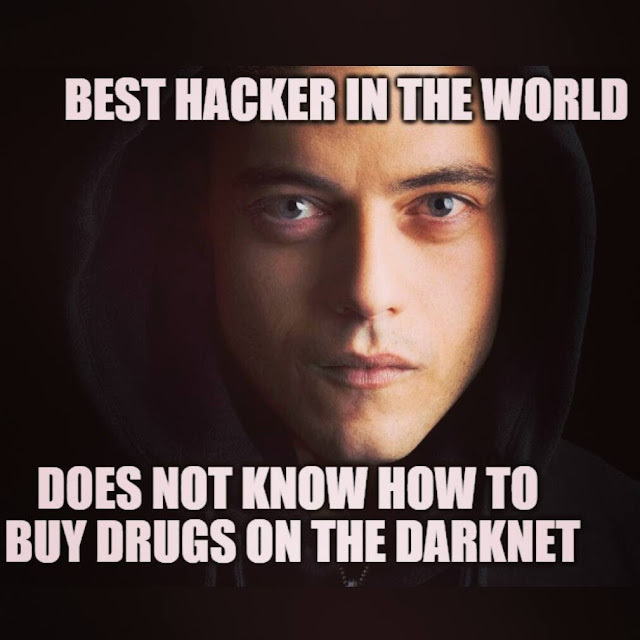 Well that seems like a pretty glaring plot hole, although the show may have started around the time when the Silk Road was taken down by the authorities, so trust in the darknet may not have been high. 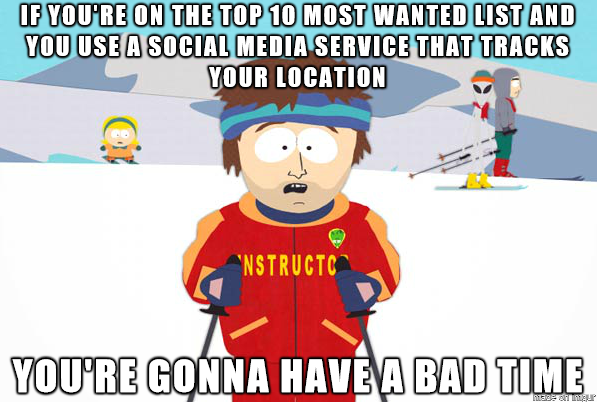 You don't necessarily need to have good OpSec in order to get on the 10 most wanted list, but you do need good OpSec to stay there. 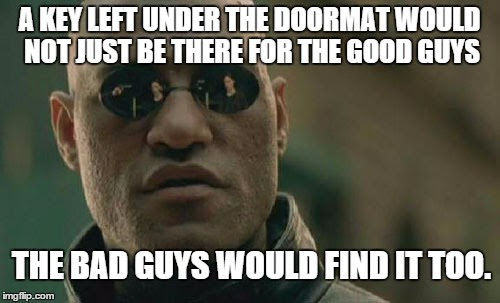 Just ask the guy who gave away his location with an Instagram post. 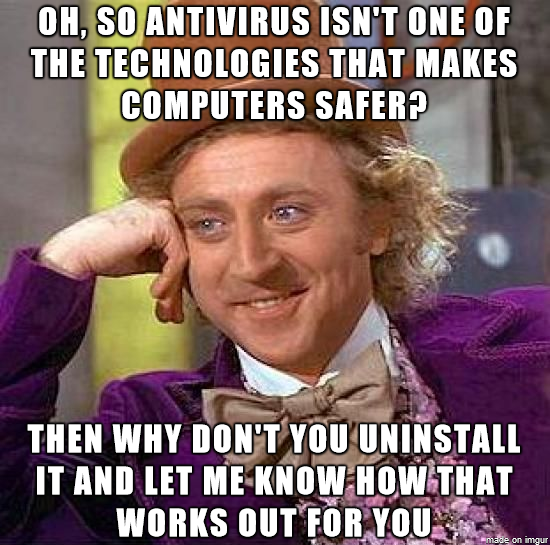 Before you tell me how you already run AV free on your own computer, take note of the title of the post. Do you have a computer at work? Do you have parents and/or children with computers? Right, go ahead and remove it from those too. I didn't make this (believe it or not I'm quite a bit better at digital image manipulation than this) but when I stumbled across it while searching for memes I knew I just had to share it. Credit goes (I think) to Reddit user 98cwitr. 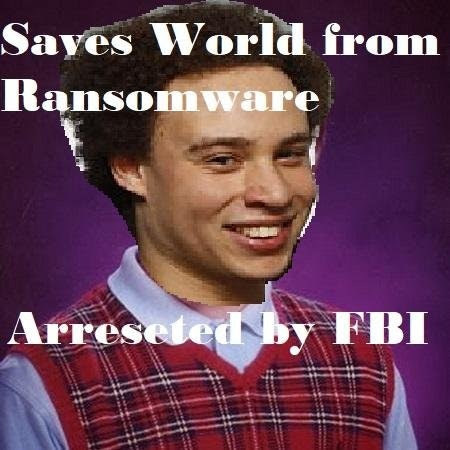 If you were going to choose a meme to modify in order to represent the absurd tribulations of Marcus Hutchins, then Bad Luck Brian seems like a perfect fit. 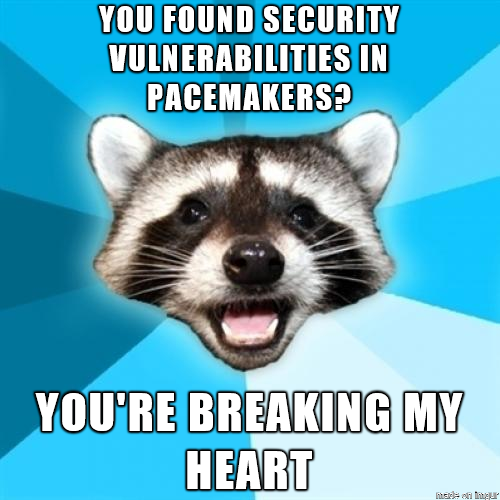 Never underestimate the unusual ways that people view security concepts. Each person sees the world the the lens of their own unique experiences. Sometimes that isn't helping them and you point them down the correct path, but sometimes you might be the one with the crazy ideas and they're trying to set you straight. 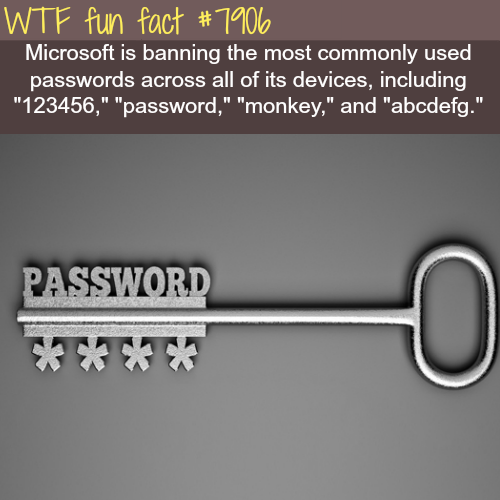 I suspect if you examine people's practices closely enough you'd find that most people (even security people) violate the principle of least privilege at least some of the time, Heck, Microsoft even went so far as to nerf the administrator account because they gave up on the idea of people only using admin sparingly. 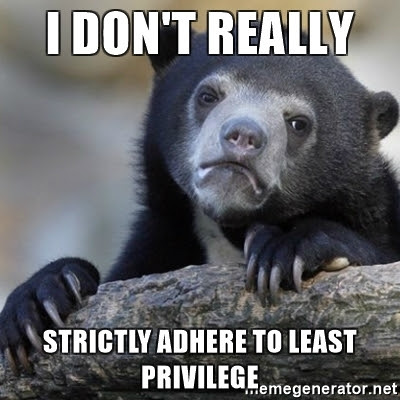 Does UAC now mean that people don't have to worry about least privilege anymore? Does it give us a licence to be lazy about security? I don't know, but I'm going to continue using a non-admin account for day-to-day computing, regardless of the presence of UAC on my machine. You know how nowadays when you want to run something that requires administrator access you have to right-click and choose "Run as administrator" even though you're already logged in as a user who is a member of the Administrators group? Yeah, Microsoft had to literally change how administrative users work because people couldn't be trusted to follow the principle of least privilege. Setting up 2 accounts (a non-admin one for everyday use and an admin one for actual administration) was apparently too complicated for most people so now it's just assumed that everyone is running as admin so to get the REAL administrative you have to "Run as administrator". 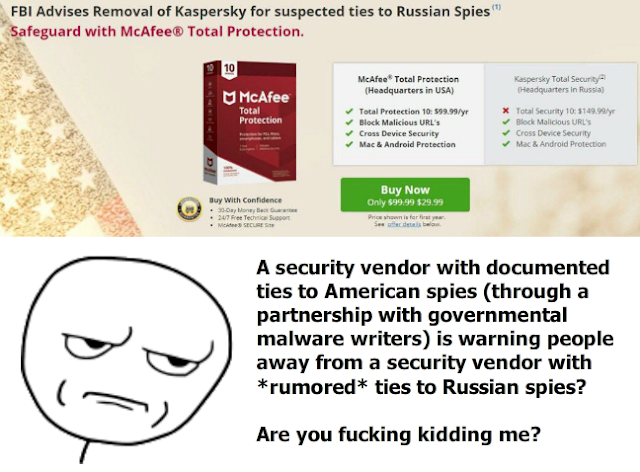 McAfee really shouldn't be throwing stones here, considering their own intelligence community ties. And you know what? 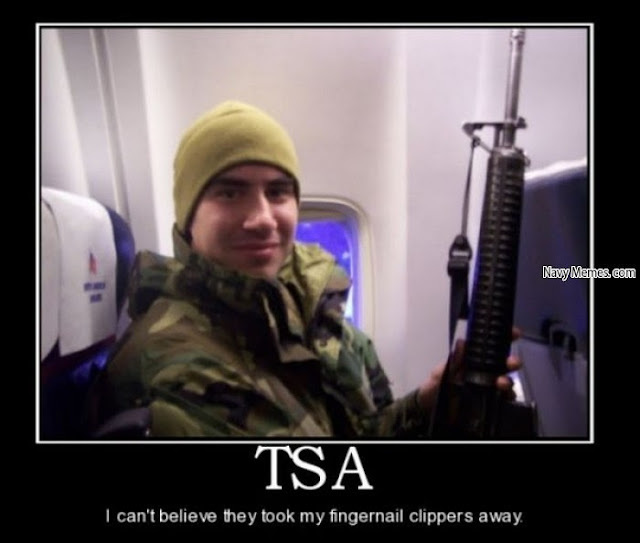 With all the focus on the NSA in recent years, ties to American spies is probably going to carry more weight internationally than Americans might realize. 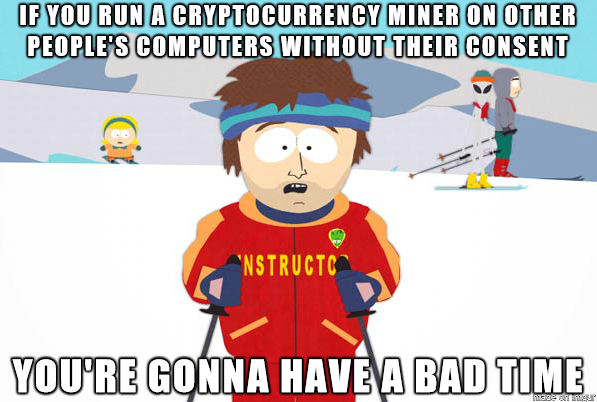 Although the site operators have tried to explain what their intentions were, the fact remains that The Pirate Bay ran miners on people's computers without their consent. The distance between this and distributing mining trojans is vanishingly small. 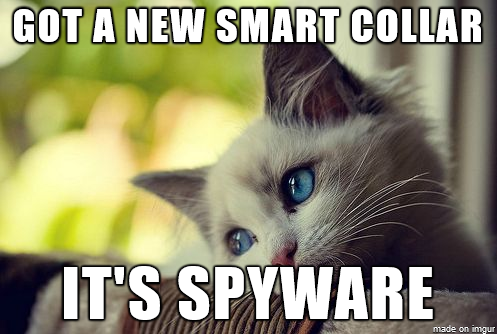 On the other hand, perhaps instead of making them smarter, it's designed to help identify the smarter ones so that they can be conscripted into China's cyberwarfare unit. 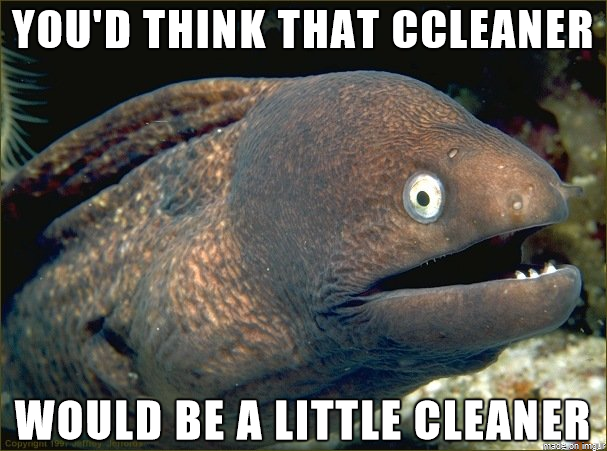 If you are a user of CCleaner then you should know that it has had malware embedded in it recently and you probably ought to get the latest version that eliminates that particular problem. 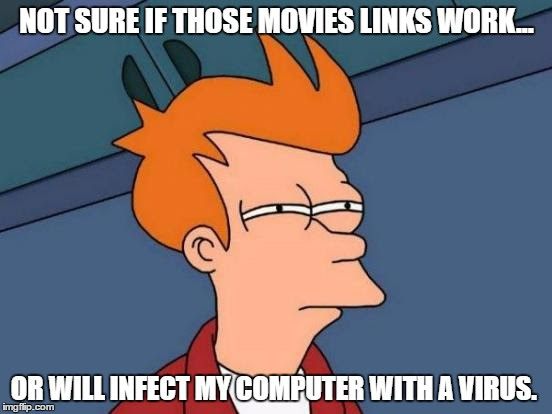 There's nothing that says a streaming site won't show you a movie AND infect your computer. 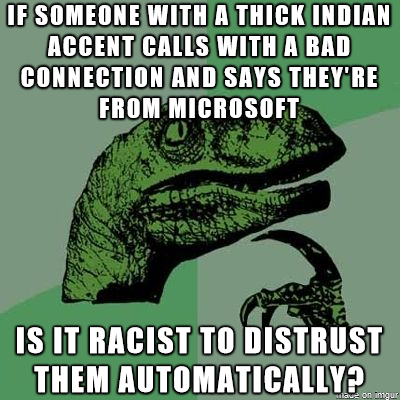 They aren't mutually exclusive and just because you saw the video doesn't mean your computer didn't pick up something nasty along the way. 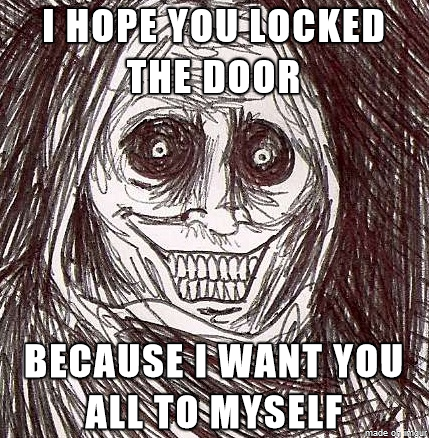 A locked door only helps if the baddies are still on the outside, not on the inside with you. 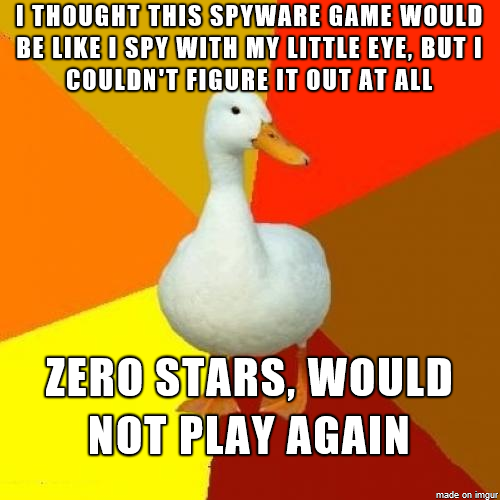 Having spyware on your system would certainly make it an asset, but not in a 007 sort of way. More like a you've been owned sort of way. 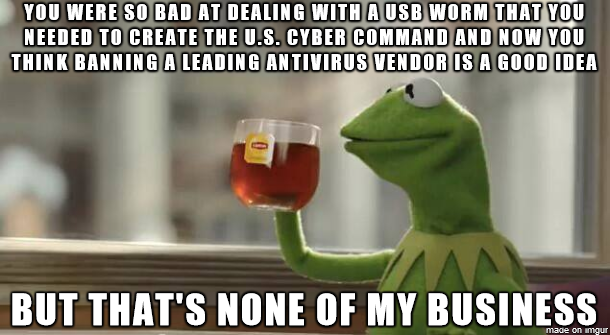 Maybe it's just me but I think if you take 14 months to clean up after a USB worm, maybe banning an antivirus vendor's products from being used in your agencies isn't such a good idea. Honestly, you need all the help you can get. 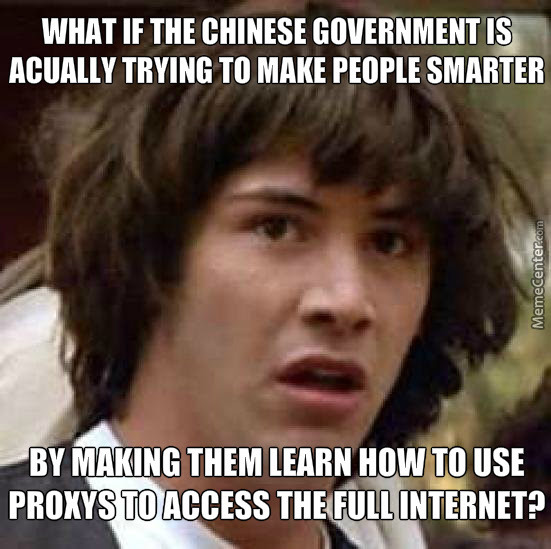 There's a kernel of truth in this conspiracy theory. 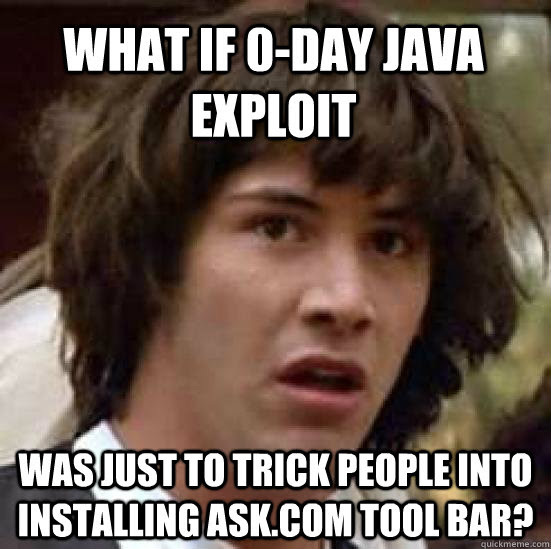 When Sun has figured out a way to monetize attempts to update their software (by nagging you and then pre-checking a checkbox to install a 3rd party toolbar) then there's something kind of suspicious about Java requiring a security update - the argument could be made that they have a financial incentive to leave a few vulnerabilities in the product in order to force users to go through the install process all over again and in at least some cases forget to uncheck the checkbox for that toolbar. Our faces are probably the part of the human body that we change the most often, whether it's with shaving or makeup or surgery or injury. 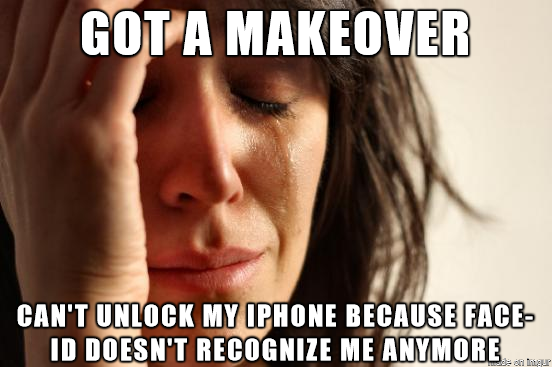 Of all the biometrics one could use to unlock a device, it is perhaps the most problematic. On the one hand, this may very well eliminate biological viruses so the statement could actually be true. 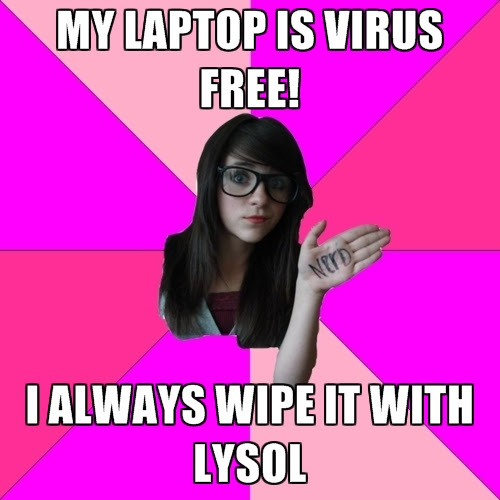 On the other hand I now want there to be a malware removal tool called Lysol to take advantage of this kind of misunderstanding. Maybe we could fly the professional skies in stead? Or better yet, how about the polite skies? That sounds good to me. 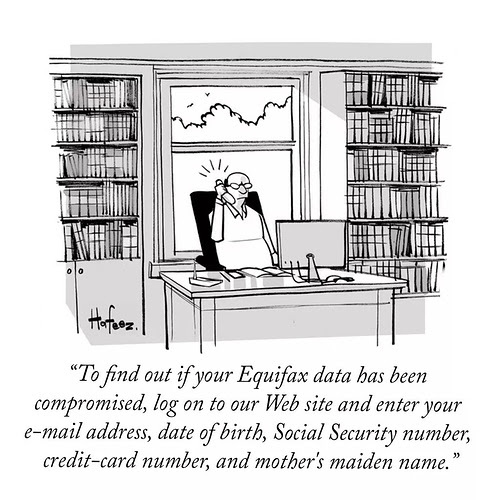 The complicated problem of figuring out whether something like this is a scam or not is the fact that Equifax seems to have behaved in some decidedly scammy ways in the past. 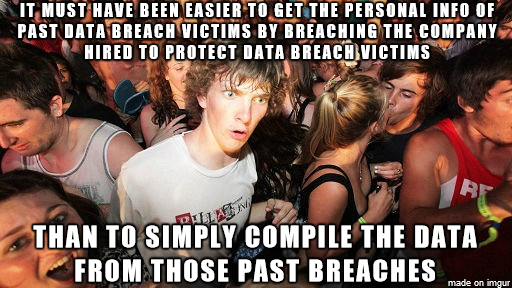 There needs to be a way to protect yourself without giving up the very same sorts of data that was compromised in the first place, and Equifax needs to stop trying to screw victims over. 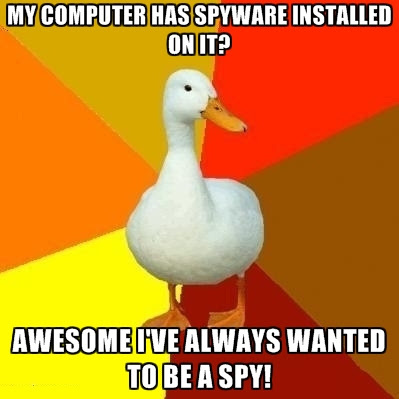 They say patience is a virtue, but I guess it's also a part of good OpSec by helping you avoid entering secrets into computers you don't (and probably shouldn't) trust. If you're looking for money then you rob banks because that's where the money is. 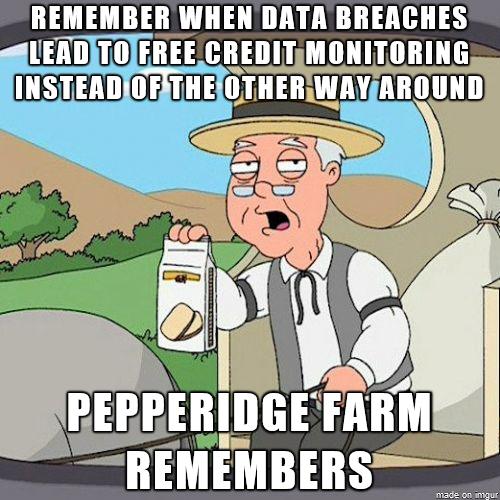 If you're looking for personal info then you rob Equifax because increasingly that's where the personal info is. Computers running Microsoft operating systems (be they Windows or DOS) were not the only ones to get viruses, but viruses certainly were more prolific on them than any other kind of system. I wonder why that might be. Wow. I knew scammers were greedy, underhanded assholes, but if this is real then that characterization is an understatement. Scamming the elderly is one thing, but trying to take them for virtually everything they have? Despicable. 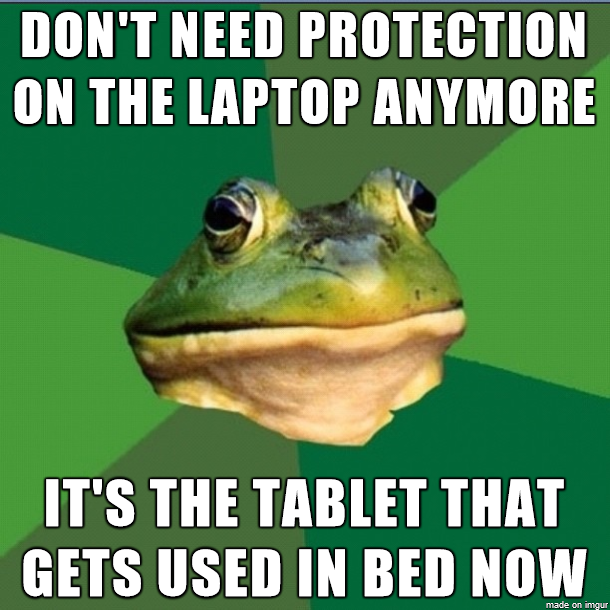 There is a school of thought that says a certain kind of browsing is responsible for a great deal of the nastiness people found on their computers, and part of safe hex involved avoiding unsafe sites or at least doing something to mitigate the threat. 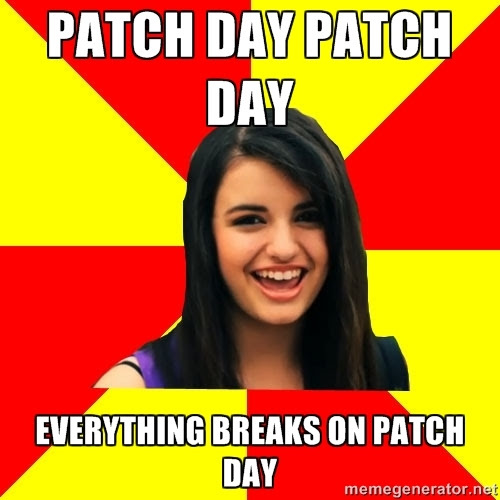 But do people even know the term "safe hex" anymore? 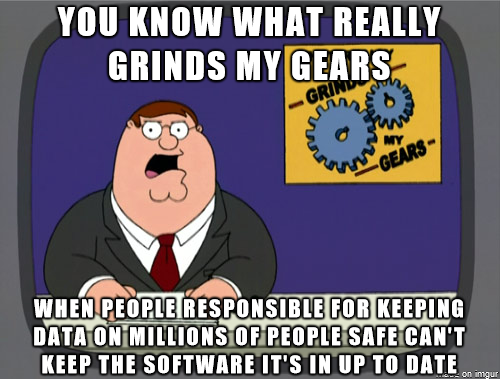 It was big in the 90's, but it seems like the security community has opted (foolishly in my opinion) for the "users should just be invisibly protected without having to know anything" model so nobody talks about safe hex anymore. Frankly, if people can't be automatically protected from something as simple as biological viruses, I'm not sure how we can expect that kind of protection against intelligent adversaries. On the other hand, I'm not even sure what constitutes safe hex now. The computing landscape has become so fragmented, it's difficult to keep up with what the best practices are for this platform or that technology, and the more things that get computers put into them the worse that is going to get. 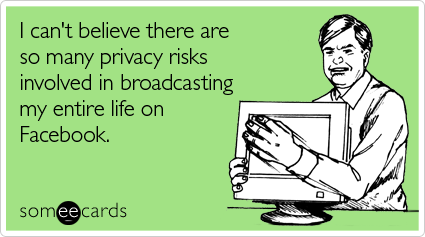 It's hard to believe so much security fail can fit in such a small Facebook status. We don't even try to hide the data collection capabilities of smart devices for animals, why should we be surprised when the smart devices we use have many of the same capabilities? 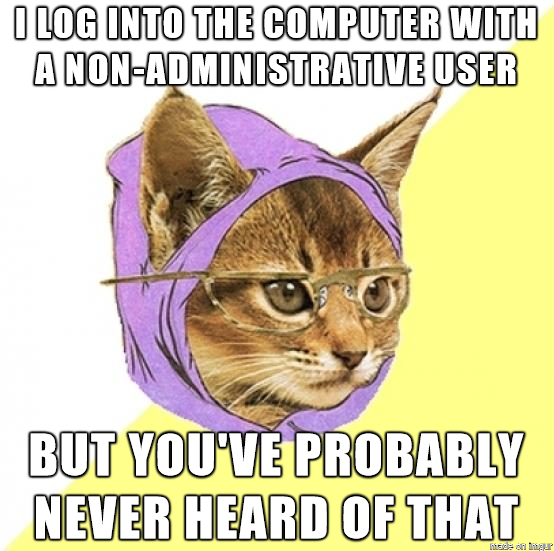 There's actually a ton of cool security cat memes on this Pinterest page. 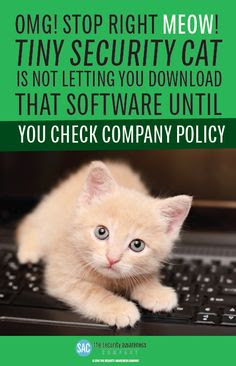 As near as I can tell, many of them came from the Security Awareness Company's Security Cat line of posts, but I can't find the exact link for this (hence the Pinterest link). 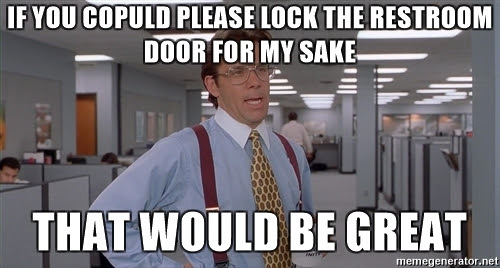 One of the lessons from this story is that security problems aren't going to simply go away just because they're inconvenient for the business. You will eventually have to deal with it and I can't think of many ways of dealing with it that are worse than waiting a year to issue a warning about problems with pacemakers. 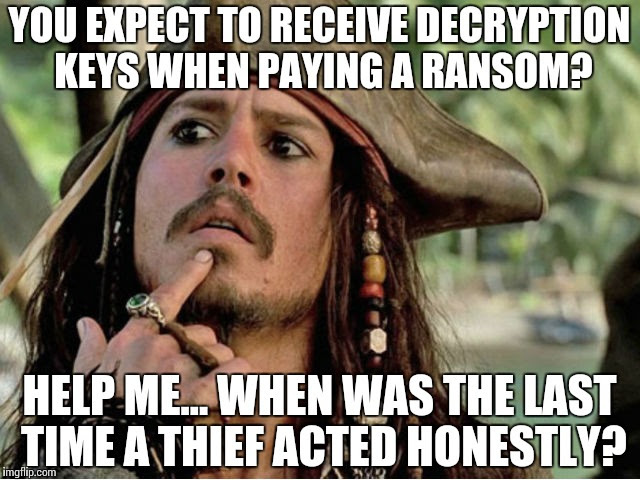 If you've got ransomware, this is a question you need to ask yourself before you decide to pay the ransom.